Printfile Top Load Holds 12 21/4 X 21/4 Slides 100 Pack - Printfile 22512HB100. 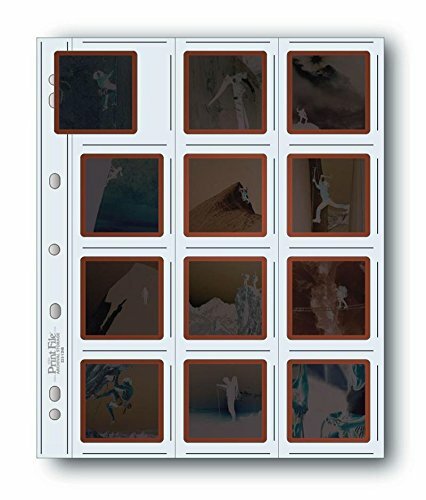 Holds twelve 6x6cm frames of 120 mounted or unmounted transparencies or negatives. Dimensions: 9 7/8" Wide x 11 15/16" High.